Help Your Students Strengthen their Pronunciation, Reading Fluency, Vocabulary and Comprehension. You Can Combine Advanced Speech Recognition Technology with the Latest Reading Science. 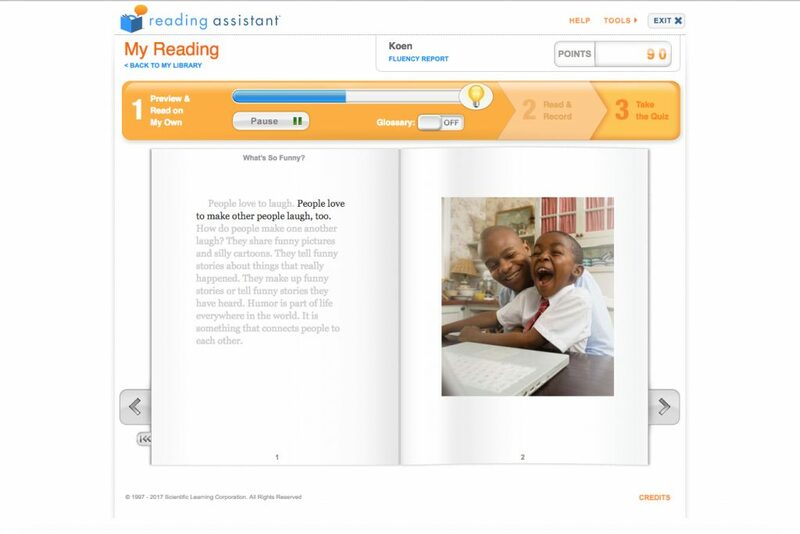 A Reading Tutor for Every Student:- Reading Assistant “listens” to a student as he or she reads aloud. Monitoring for signs of difficulty, the program intervenes with assistance when the student is challenged by a word. Scientific Learning Reading Assistant acts as a patient, non-judgmental listener, that provides support to all students as they improve their English oral reading skills, essential for English language proficiency. 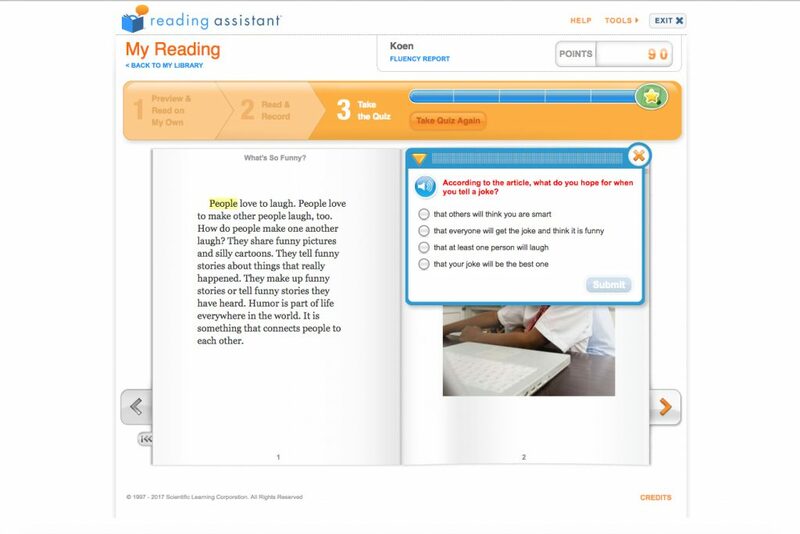 Reading Assistant software combines advanced speech verification technology with scientifically-based interventions to help students strengthen their reading fluency, vocabulary and comprehension. Students listen to a model fluent reading of the passage, preview vocabulary, and read the passage orally. After reading, students review problematic words they did not understand and playback their reading. Reading Assistant is for students who have attained basic word recognition and decoding skills and are now building vocabulary, fluency and comprehension. This includes students as young as preschoolers, all the way up to adults. Using research-validated speech verification technology, Reading Assistant “listens” to a student as he or she reads aloud. 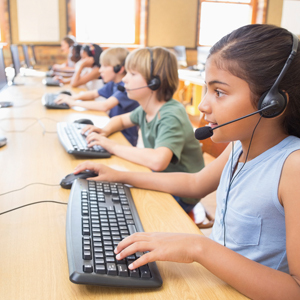 Monitoring for signs of difficulty, the program intervenes with assistance when the student is challenged by a word. Students re-read passages several times to build automaticity. Students are assessed to determine their level of comprehension by skill. 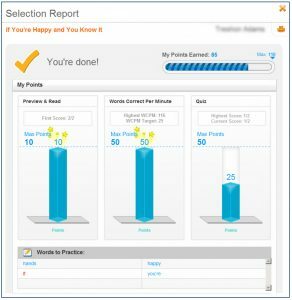 The software maintains careful performance records and the corresponding audio of each reading session for review by student and teacher. The program computes the students Words Correct Per Minute automatically. Each collection contains highly-illustrated selections grouped in topical clusters, many with a science or social studies theme. This organization helps students build a body of knowledge and also read common vocabulary in different contexts. 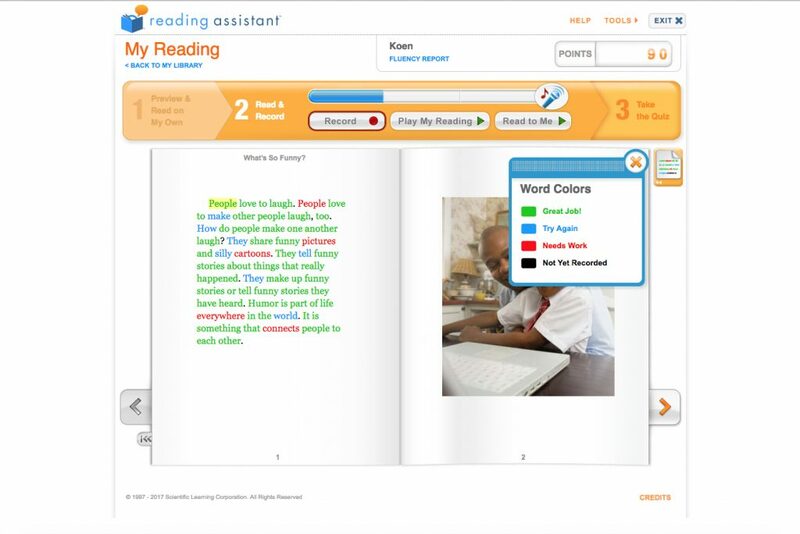 Reading Assistant is een online leesvaardigheid tool met spraakherkenning. Dit betekent dat leerlingen tijdens het hardop lezen direct worden ondersteund door het programma. Het is de enige leessoftware ter wereld die dit biedt. 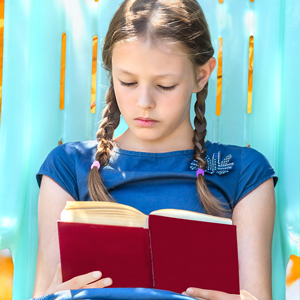 Met behulp van Reading Assistant als ondersteuning ontwikkelt de leerling leesvaardigheid en begrijpend lezen. Wanneer een leerling moeite heeft met een woord biedt het programma een visuele hint. Wanneer een leerling het woord niet corrigeert dan grijpt het programma in door het woord correct uit te spreken. Na het hardop lezen volgen vragen om te kijken of de tekst begrepen is. Rapportage: Alles is terug te luisteren en resultaten worden duidelijk in statistieken weergegeven.